Ice cream and a hot summer day obviously go together – BUT there is the melting and mess. That’s why there are ice cream sandwiches! How can you go wrong? Ice cream in the middle and “holders” on the outside!! 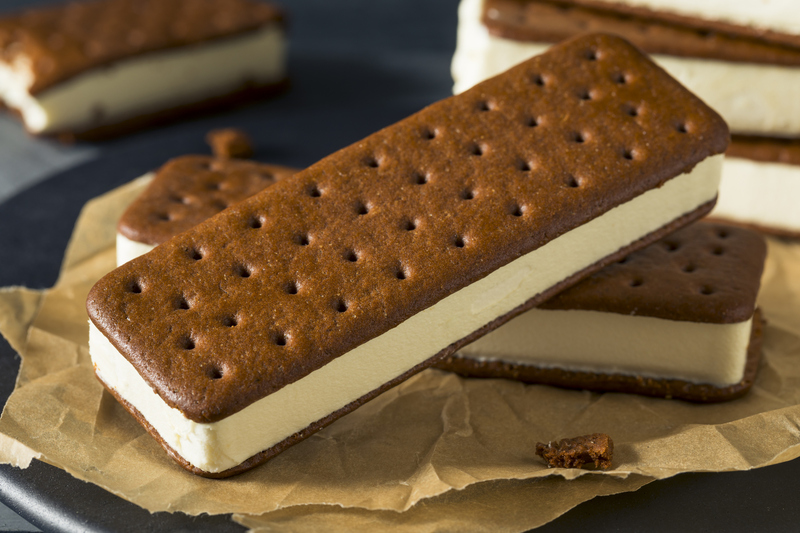 Sure, you can buy one or get all over Pinterest for fancy recipes, but here’s a super simple and fun way to make your own ice cream sandwiches! Top one cookie (flipped upside down) with ice cream and sandwich with another cookie. Roll in sprinkles and freeze until firm, 20 minutes. 2 Responses to "Make your own ice cream sandwiches"